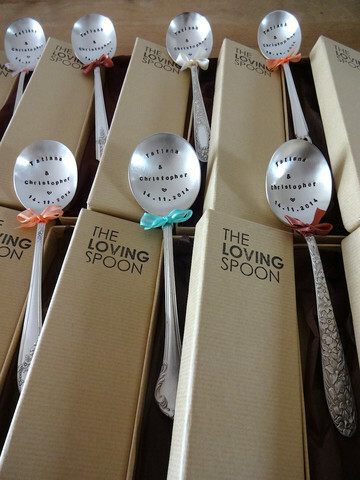 I thought I should feature one great company that specialises in personalised wedding souvenirs and guest favours: The Loving Spoon. 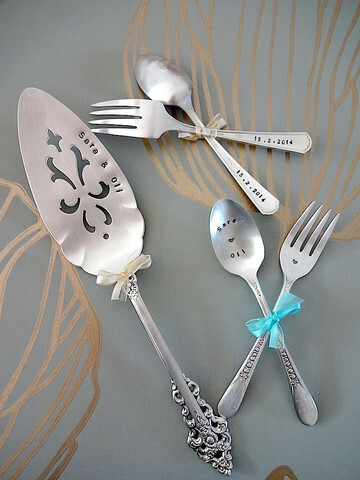 Maya – the founder and the main creative force of the Loving Spoon, searches flee markets wherever she goes and chases down the best pieces of antique silverware. 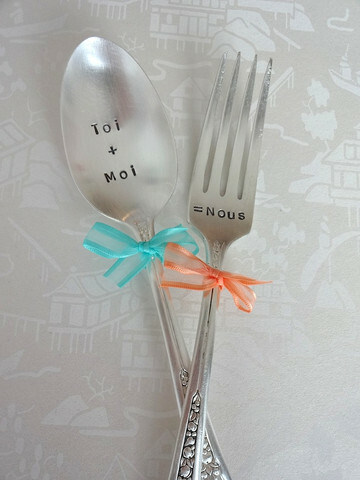 She then throughly polishes them and proceeds with printing whichever text you wish to appear on your spoons, knives or cake shovels. 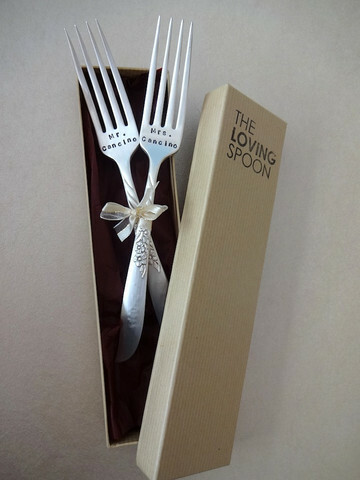 I had a chance to work with Maya on several occasions already and saw how happy people were when receiving such cutlery as guest favours or as gifts for the bride and groom. 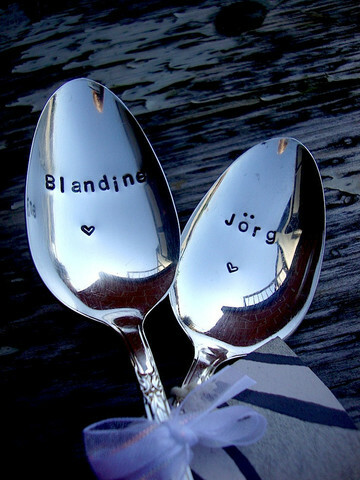 I also got one such spoon for myself with my name on it and am planning to order a whole bunch for my own wedding.